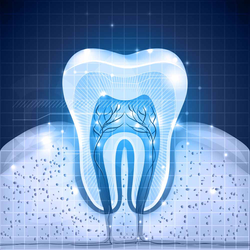 One possible way to prevent the pathogenic consequences of dental plaque formation might be the modification of the tooth surface by application of an anti-adhesive coating that interferes with the bacterial accumulation. 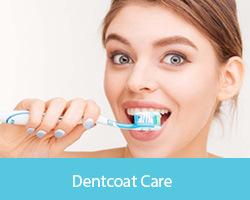 Dentcoat tooth protection takes advantage of the principle of self-assembled mono- and multilayers, which is one of nature's tried and true concepts. For example, phospholipids organize in solution spontaneously into thermodynamically stable, defined micelle structures, to create cell membranes. 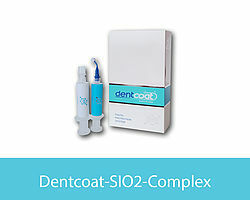 Dentcoat makes use of molecules' ability to self-assemble, and thus the SiO2 compound (liquid crystals) bonds firmly to enamel/dentin structures to coat the enamel. The result is an extremely smooth bio repulsive surface, which leads to greatly reduced protein and microorganism adhesion. The "Jamaika Fruit bat" eats up to fifteen very sweet fruits per night, the juice of which contains three times as much sugar as apple juice. 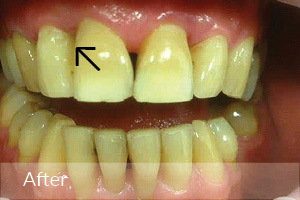 A crucial role in caries protection is therefore the enamel surface of the bat.The surface of the teeth is provided with a structure which prevents plaque. 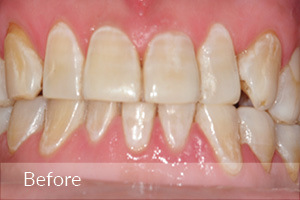 This is similar in Dentcoat treated tooth structures. http://swrmediathek.de Ansehen ! Interessanter Bericht. I’m experiencing root caries and gingival recessions. 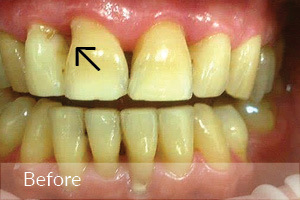 I found Dentcoat tooth protection and decided to have a treatment. 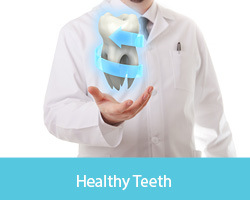 My teeth feel clean & smooth like after a dental cleaning every day. 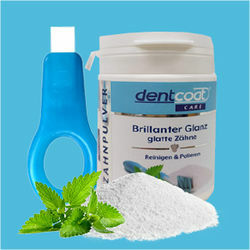 I also use the Dentcoat care tooth powder for daily hygiene, what a difference so far. 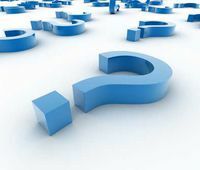 I didn't have a clue I had gum disease until a tooth came loose. 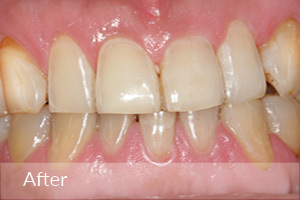 My periodontist discovered an advanced case of periodontal disease. I was shocked since I take good care of my teeth. the hygienist should be scaling and probing on every visit. and receiving the care that I need. 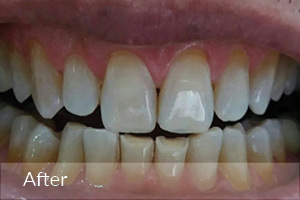 Thanks Dentcoat – This plays a major role in my treatment! I have a lot of trouble with sensitive teeth - or I did. Three years ago the first treatment with the liquid crystals was carried out. I just want to keep my teeth in good shape long enough. Dentcoat tooth protection it was. The smooth clean feeling makes addicted! that I've ever found. LOVE IT! 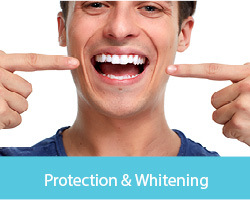 Brighter teeth and protection in one! DENTCOAT P is a superior product for caries and periodontal prevention and endows the tooth with a mineral - durable effective shield made from a SiO2 Compound, which is acid and scratch resistant. 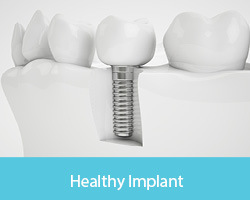 In normal cases anyone over the age of 6 can use the treatment. 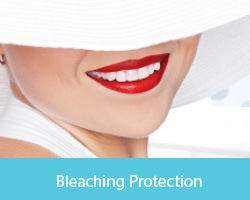 Dentcoat P is recommended for those who want to do something about periodontal disease and tooth enamel loss. 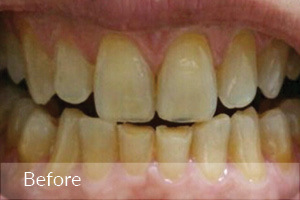 DENTCOAT DS is especially made for people who want to get rid of sensitive teeth and want to live pain free permanently. 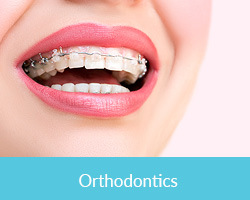 Here you will find the perfect dental care for your unique tooth protection. With the Dentcoat Care toothpowder, you gently care for your newly acquired tooth protection. We use natural ingredients: microfine cellulose fibers without fluoride, free from preservatives and chemical additives. This results in fewer ingredients and active ingredients directly into the body via the blood vessels of the oral mucosa. Your oral mucosa will thank you! No matter how unfamiliar it is the first time: The smooth feeling on your teeth is noticed by everyone immediately! With cellulose the teeth are strictly not "cleaned", but with a low RDA value polished and not scratched. Note: You can revoke your consent at any time for the future by emailing info@andjana.de .